1. Is IOTAshops.com free to use? Yes. IOTAshops listings are for free. 2. Do i need an account? No. An account is not needed. Not for listings nor for other things. 3. What’s the advantage of being listed on IOTAshops? If your shop / business is listed on this site, you’ll be presented to the relevant audience. The target group of IOTAshops is people interested in IOTA and IOTA relevant articles and products. 4. Who is IOTAshops for? This site is for merchants that want to present their business to the relevant target group. 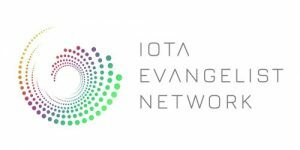 It’s also for people that are interested to find IOTA related articles/products and other informations about this technology – like projects, exchanges, news and more. 5. Is IOTAshops selling things themself? No. IOTAshops doesn’t sell things. We only list shops that do so. 6. Can everybody get listed? As long as your shop/business is IOTA related and doesn’t harm any rights of others or violates the law in any way, there should be no problem to get listed. Sites that are for adults only, show violent content or other explicit content won’t get listed. IOTAshops reserves the right to delist participants at any given time if rules are broken. 7. Are there any fees on getting listed? 8. On which other channels is IOTAshops present? Twitter, Discord, Facebook and Reddit – feel free to follow to stay up to date! 9. I got a shop/business and want to offer IOTA payments – what should i do? There are many different payment solutions already. You’ll find them in the “IOTA payments for merchants” section. 10. My shop is not listed – what can i do? 11. What’s the purpose of IOTAshops? The purpose is to spread the word. We’re striving for adoption and we want to show the world, that IOTA can already be used in day to day use. We want to offer a platform where merchants can show their IOTA related products and shops / businesses. We want to make it as easy as possible to find the places where you can already use IOTA for payments for e.g.. We also want to offer a platform for IOTA related projects, so they get noticed by a bigger audience. 12. How can i get in contact? You can find the contact informations <here>. 13. Why don’t you have user accounts? We don’t have accounts for shopowners / users because we want to ensure the highest quality in our posts and links. Opening such a site to everybody holds the risk that bad actors disturb the mission. Every shop listed on this site is checked for seriousness with the best of knowledge and conscience. No problem. Feel free to contact us anytime and we’ll help you.